Let's shop and shop! | Ismurfshion. Ismurfshion. : Let's shop and shop! See the sky, so clear, so cold, feel the spirit of brighter day today :) Goodmorning! So how was your day? Happy? Sad? Excited? Forget that feeling! So, dskon.com is a companies who take shelter under the name of Global Leads Group is one product of a series of similar sites known as Dealies Family. Sites with a primary focus online shopping solutions, has been recognized concept in various European countries and also Asia too! So, what makes dskon.com so appealing? Because By visiting Dskon.com, online shoppers can choose a collection of Online Stores are divided into several categories, start from Fashion, Electronics, Culinary, Health & Beauty, Household, Entertainment, Sports, Automotive, Children to Travel , it's just one click! Online shoppers can also read detailed information about the store! Starting from a collection of various product or service, method of payment and shipping options, customer service information, even down to shipping regulations. In addition, online shoppers can also exchange information about personal comments and reviews on their shopping experience in this online store. 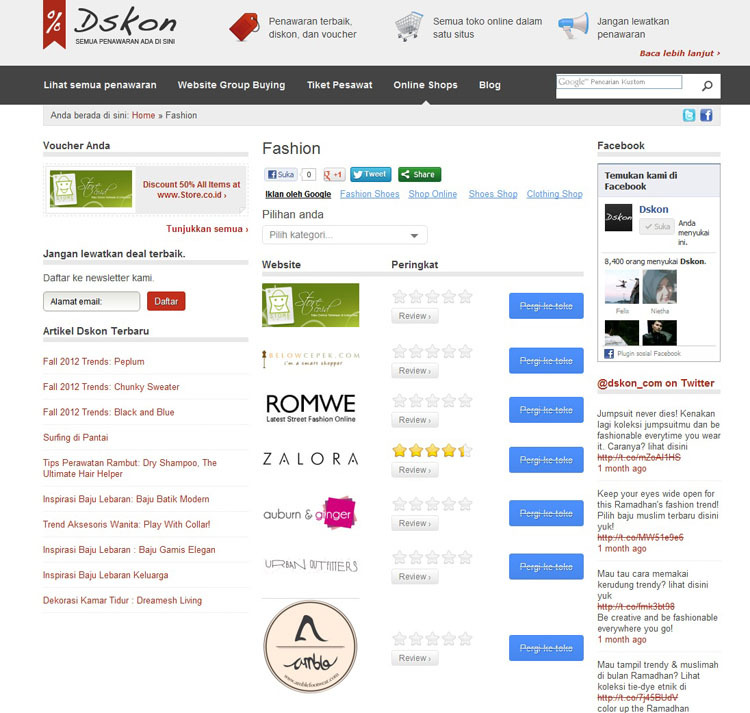 And for the buyer, you can see tips and trends for fashion inspiration from Dskon's blog, because this blog so inspiring :D And if you love fashion and maybe yo uwant buy a clothes from dskon.com, just click here from my web :) So simple. right? Hihi. Ohh.... wait wait.. i have one information again for you all.. Similar sites like dskon.com can also be found in other major countries, such as Spain with Dscuento.com , Brazil with Dsconto.com, and Russia with Best-Woman.ru -- has been released a few weeks ago as a center of information and news about women's fashion and beauty. So what are you waiting for? Just one click and you will find everything that you need on dskon.com! Here some snapshot from Dskon.com! .... So... Happy Shopping For you all my readers :))Hug! That sounds so great! What amazing pictures as well! I cannot get over how amazing that mustache ring is! I always enjoy looking at instagram photos :) Those waffles look yummy! Maybe you'll a look at mine too? 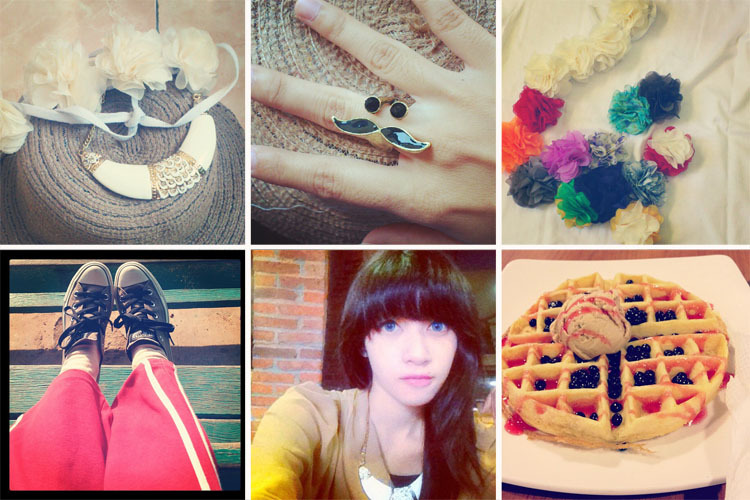 Interesting Instagram photos, love that mustache ring. Thanks for visiting our blog, and following: You've got a great blog, following! nice instagram photo's :) ! Nice blog, your photos are great! love these pics! are you wearing colored contacts? you look beautiful! I absolutely adore this super cute ring as well as the lovely necklace! Where did you get it? The Necklace at the First Picture is amazing! lovely photos! you are pretty! you look so pretty adorable!